Help Federation make a difference. Sarasota may be small, but we deliver a huge impact. Join other Jews in our community at these engaging social progams designed to create a vibrant Jewish cultural community in Sarasota-Manatee. 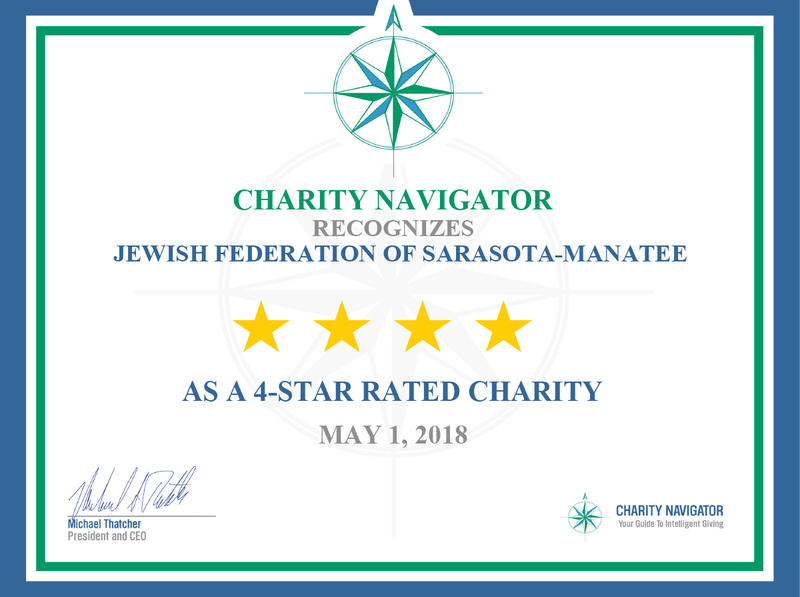 The Jewish Federation of Sarasota-Manatee is a leader in the Sarasota-Manatee community. Click the tab above to find out more about us. Help promote support for Israel in our community and abroad, and fight anti-Semitism world-wide. With your generous support, we are able to provide for Jewish people in our community and around the world, and promote support for Israel. We have many programs designed to benefit Jewish individuals and programs in our community and abroad. The key to our success rests in people who donate their time and talents to helping us achieve our mission. We keep you informed in what’s happening at The Federation, in our community, and abroad. Check out our various media outlets.